← Lessons learned…. so far…. Not to sound like a broken record….. life here is tough…. but…. it never fails to bring me more moments of joy in mere weeks than I have experienced in my entire life. Today was so incredible I just have to write…. Today began, like any other day with basic home chores in the morning and then we were off to the hospital after lunch. Geoff’s mom, Leny was giving another day of crochet and knitting lessons to the Hermana’s. His dad Bill was busy tending to their new garden. Justin was hanging drywall in the new pantry. Matt went up the mountain to work the afternoon and relieve Zack who had been working all morning with Senor Chico on Marquito’s families new home. That left Geoff, myself, Zack and Dave to tackle what was for me, the worst job yet. It was time to paint the inside of the new cistern tank that is underground. I do not know if you have ever seen a cistern but it is basically a bomb shelter underground with a man sized hole at the top and about 5 ft tall. I am claustrophobic so it was not one of my top 10 favorite things to be doing. It was very necessary to get this completed because the hospital does not have water every day. In Guatemala, especially in the dry season the water supply is on a rotation. Some people only get water every 8 days! Just imagine that! Water is a precious commodity here. We had hoped to take 5 min shifts one at a time inside the bunker because the paint to seal the concrete is highly toxic. We all paused to mourn for a few moments that our masks from last year are safely tucked away in my closet in Beamsville…. As it turned out we were only able to stay inside the sistern for under 15-20 seconds each. Yes it was that bad. Eyes burned instantly and if you dared to take a breath….well lets just say it was horrific. It took myself, Geoff, Zack and Dave by surprise how incredibly difficult this task was. I understand all the warnings from people that someone had to stay up top and watch that the person inside didn’t pass out or they would die in minutes. Scary…. When we were about 3/4 of the way through painting we heard one of the Hermana’s yell…. When Luke and Gabe turned to look they yelled that the ambulance had arrived…… We all jumped up and ran….. There are times when I feel like we are ‘spinning our wheels‘ here in Guatemala. We celebrate victories… we mourn losses… we teach, we learn, we triumph, we fail, but through it all we hope and we love. I realized that I have been deeply afraid…. 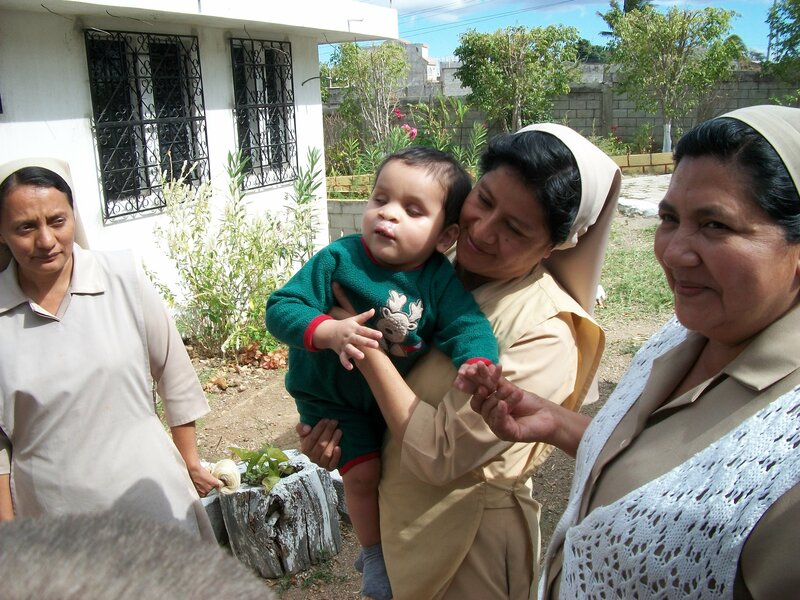 After wanting to help a boy who touched me, Estuardo who I met 2 years ago and finding out upon returning to Guatemala last year that he had died (previous blogs). A big part of me had lost hope…. Today was the fruition of the hard work, perseverance, hope and love of a young girl back home… Rachel… and after waiting and praying for 1 entire year it came. And it came with more hope and joy than I can even explain. Inside that ambulance was more joy & hope than I have ever known. Marquito. Precious little Marquito. The first of many surgeries are done and he was returning to the hospital. One look at his precious face had every single one of us in tears. I cried like a baby seeing the miracle that perseverance, hope and love can bring. He looks amazing. 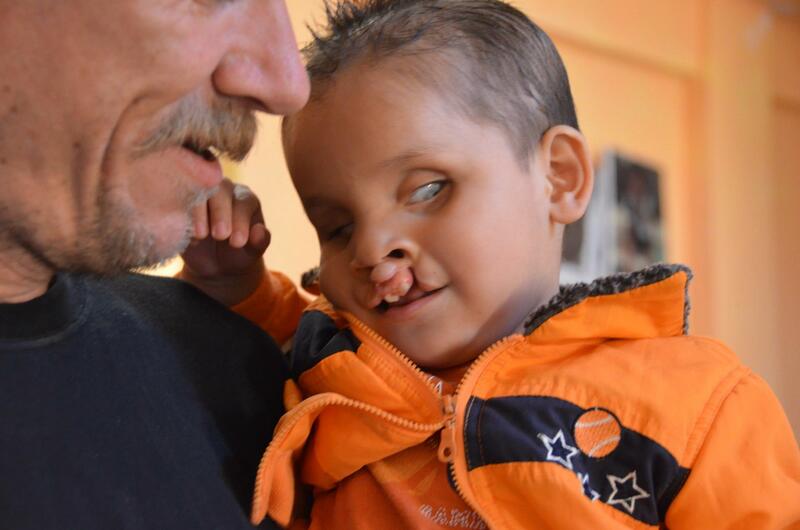 The first surgery was to fix the outside of severe cleft palate. Inside there is still a hole but these things take time and must be done in stages. But his outward appearance … unreal. I cannot explain…. just look at the pictures… see what I see… and understand…. 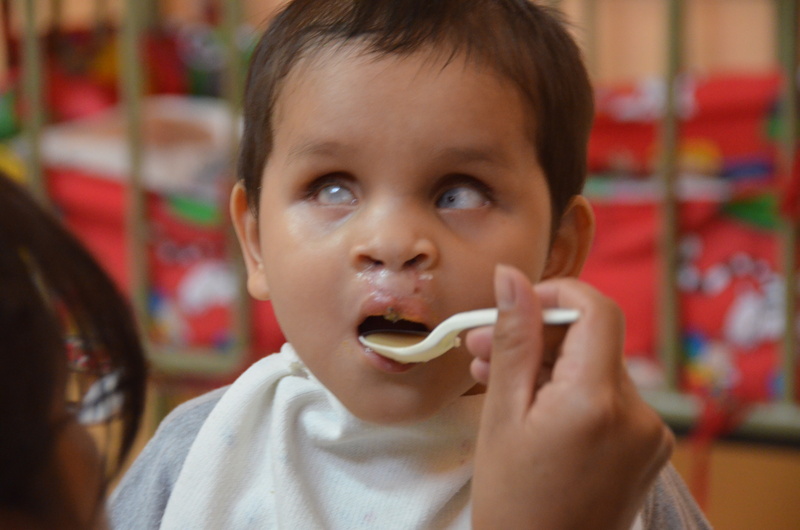 and please, remember Marquito… remember his story…. 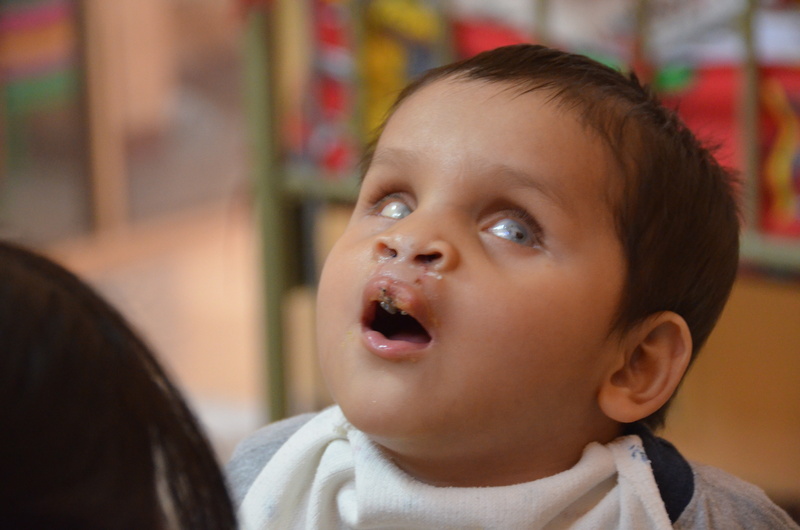 and always, always have hope…..
Marquito home after his first surgery!! After a 1 year wait... a near fatal illness... He is home, first surgery done & is doing fantastic!! 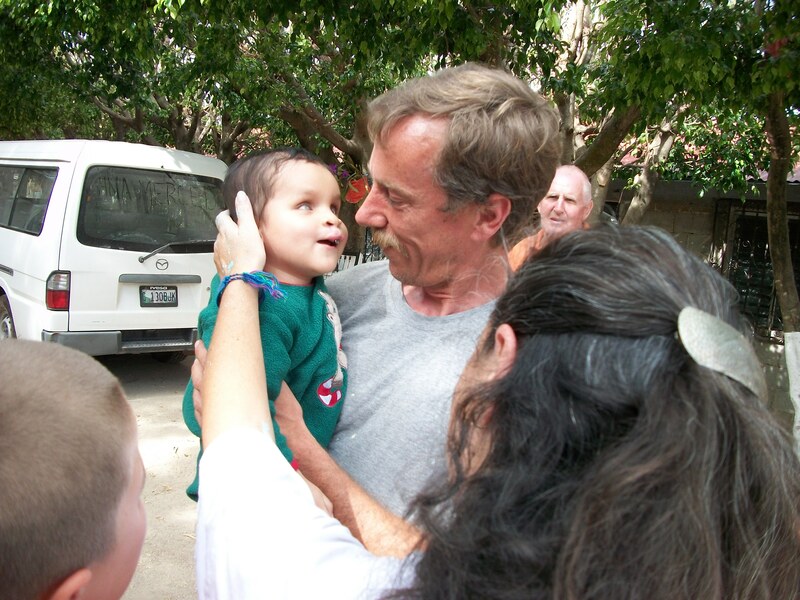 Posted on January 28, 2012, in Guatemala Missionary, Uncategorized and tagged celebrate life, Guatemala, Hope, Malnutrition, mission, Missionary, Volunteers, World Impact, Youth. Bookmark the permalink. Leave a comment.